I’ve been lucky enough to have seen Len Wein on many panels over the years, the last one will always be the one I remember most. It was last year, at SDCC 2017, and it was the tribute panel for Bernie Wrightson. Len was clearly not doing well, and he had a hard time even making it up on to the platform with the other panelists and needed help to get into his seat. He was seated on the end, which happened to be right in front of me. I watched him a lot throughout the panel and was saddened by his condition, but when he got a chance to talk about creating Swamp Thing with Wrightson, and more importantly tell stories about his friend, well at that point you could hardly tell he wasn’t doing well because he lit up and his heart and love shone through at those moments. When the panel was over though, Len went back to not looking well and had a hard time getting back to the chair/scooter that he had to help him get around. At the time, I thought this might be the last time I would have the privilege to hear Len Wein share a story. Sadly, I was correct. Len passed away on September 10, 2017. When I was reviewing the panels for SDCC 2018, one of the ones I locked in on right away was the Len Wein Memorial. Of course, there were a few things I found strange about the panel, like that it was being held at 8:30 p.m., on Thursday night. Thursday is pretty much the least busy day at SDCC, and any panel that takes place after 7 p.m. is likely to have a low turnout unless it is a movie premiere. Additionally, there were no details included, no listing of panel members and no specifics about what would be discussed. So, before I get into the panel itself, because it was a truly touching panel, and as it turned out it was one of three memorial/tributes I would be attending at SDCC 2018, I just want to express my disappointment at how this panel was treated. I don’t know who is to blame, or if there was just no way around it, but the Len Wein Tribute panel deserved more than what it got in terms of time and day. It should’ve been an afternoon panel. It should’ve been given a spotlight so more people would have been more likely to attend. Len was an Inkpot Award winner and he was inducted into the Will Eisner Hall Of Fame in 2007. 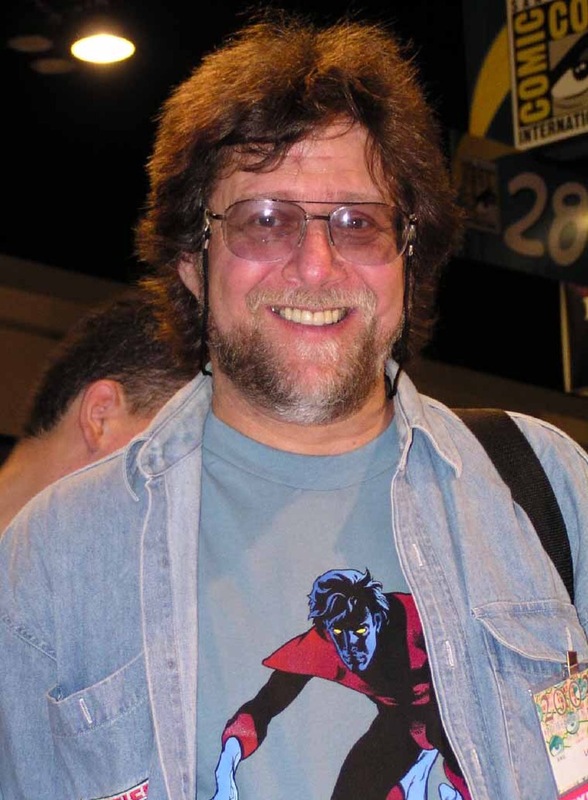 Len Wein co-created Swamp Thing, Wolverine, the New X-Men, and more. But for those of us lucky enough to have attended this panel, and to have heard stories from Len and about Len over the years, the thing we know is that Len Wein was a good person, who cared about and loved his friends and his family. 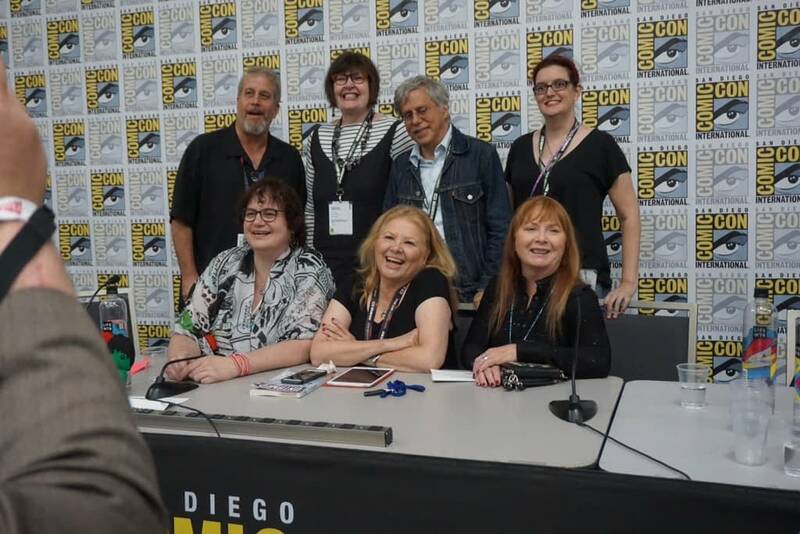 The panel was moderated by Gary Miereanu, and included his wife Christine Valada, Lynn Latham (television writer and executive producer), Gillian Horvath (television writer), Melinda Snodgrass (science fiction writer for television and print), Paul Levitz (writer and former President of DC Comics), and Charlotte Fullerton (writer of television, novels, and comics). Of those on the panel, Levitz knew Wein first. Levitz discussed that he first noticed Wein’s work when Wein was writing The Phantom Stranger for DC Comics, while Levitz was working on a fanzine. They first met when Wein was working on Justice League of America 100-102, in 1972. Horvath first met Wein at SDCC, while she was working on the Highlander television show. She spotted Wein at a table and recognized him, but was afraid to talk to him. Wein however had attended the Highlander panel that Horvath had been on as he was a fan of the show, and he ended up approaching Horvath and asked her if Joe Dawson, a character on the show, had really died in the previous season finale. They formed a friendship from there. Horvath shared how Wein always wanted to work, and that when the Human Target television show came out, a character that Wein had created in comic books, he asked if he could write a script for the series. The panel talked about the Pro/Fan Trivia Match, which this year they renamed Len Wein Memorial Pro/Fan Trivia Match, as all the questions would be about Wein. Wein was the only one to participate in all 22 years of the panel, and only correctly answered questions about his own work six times, and every time he did so he the audience would give him a standing ovation. Wein was the one who came up with the idea originally for the trivia match. The panel discussed how Wein had terminal blood poisoning when he was a kid, and Batman saved his life, because he refused to die before he saw the 1966 premiere of the television series. Fullerton said that when would say, “I stayed alive, and then I saw it, and I wished I died.” He hated it. Valada and Wein were huge fans of Jeopardy, Valada was even a four time champion. She discussed how Wein was a Final Jeopardy clue on an episode that aired two weeks after he passed away, but it had been filmed several months before that. During the panel, Snodgrass shared that George R.R. Martin texted her to ask how the panel was going. Valada said Martin knew Wein even longer then Levitz did, as Martin met Wein at the first ever comic book convention in 1964. Martin bought the first ticket for the convention and Wein is the one that first used the term “comicon”. Snodgrass talked about how Wein loved musicals and would sometime burst into song, but he had a terrible voice. This led Michael Davis (Co-Founder of Milestone Comics), who was in the audience, shared a story of driving through Oakland with Wein, Marv Wolfman, and Harlan Ellison, in his car and playing his West Side Story CD. Davis said “We were singing at the top of our lungs, Be In America.” They noticed as they were singing “Everything free in America”, a car full of Latino gangbangers. Davis turned off the music, and Len goes “you know” to them, and then the gangbangers started singing the song. Davis had a hard time holding in his tears as he told the story. At that point it was time to wrap up, even though Valada wanted to continue, but there was another panel after. So the panel ended with applause for the panel and most importantly applause for Len Wein. For further musings from Joshua Stone, follow him on the Twitter @1NerdyOne.